Our snacks should not come with a side of deforestation & exploitation. A few tips for companies to make it so. In order to drive genuine sustainability in commodity sourcing, companies need to not only focus on the conservation of forests and peatlands, but also address the human dimension of sustainability. This post was co-authored by Aditi Sen, Policy Advisor on Climate Change for Oxfam America. The world loses about 50 soccer fields of forests every minute of every day resulting in a massive release of greenhouse gases. The importance of forests to addressing the climate crisis was recognized in the landmark Paris agreement in December 2015, and hundreds of companies including the world’s 10 biggest food and beverage companies have now committed to deforestation-free supply chains. These commitments are a step in the right direction. 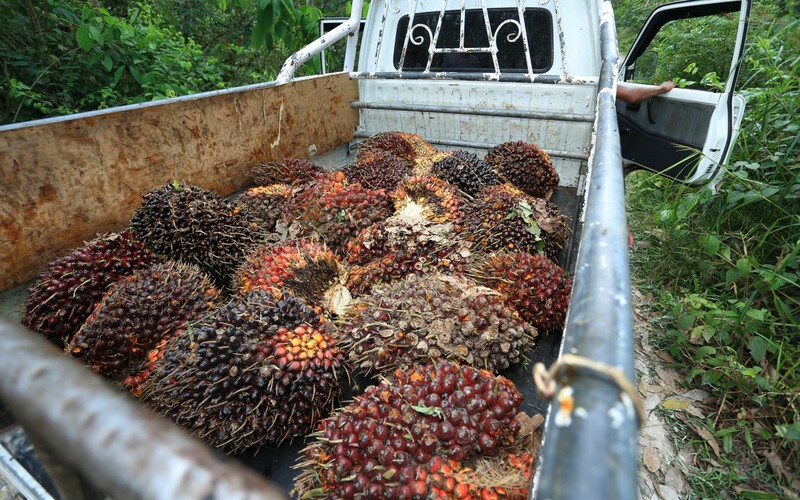 The rising demand for palm oil, an ingredient in chocolates, cookies, and chips, has resulted in palm oil plantations replacing great swaths of tropical forests and carbon-rich peatlands in Southeast Asia. (Globally, two-thirds of forest clearance is driven by the demand for commodities that end up in our supermarkets). However, in order to drive genuine sustainability in commodity sourcing, companies need to not only focus on the conservation of forests and peatlands, but also address the human dimension of sustainability. The goal isn’t just deforestation-free, but deforestation and exploitation-free supply chains. And the key to exploitation-free is land rights. Communities depend on their land for their lives and livelihoods. Yet, in many countries around the world, many people are unlikely to formally own or control their land. As a result, governments or investors often take that land without giving communities a say. When communities are kicked off their land, they can suffer not only the destruction of their incomes but also social and cultural collapse; and in the process of being dispossessed often endure human rights abuses, including violence, and the burning of homes and crops. Women are especially vulnerable and can suffer disproportionate impacts when losing access to natural resources they depend on to feed their families. In the case of palm oil, rapid expansion of oil palm estates has led to the forced displacement of local and indigenous communities and thousands of land disputes. And while they may sound like separate issues, creating deforestation-free and exploitation-free supply chains might not be such separate goals, after all. Ensuring stronger land rights for communities might actually help save the forests too. New evidence suggests that when forest-dependent communities have enhanced rights, they are more successful at stopping loggers, companies, and settlers from destroying the forests and releasing carbon pollution into the atmosphere. There is a significant amount of guidance available to companies on how to limit environmental risks when dealing with land, but how can they address the social risks? At the heart of the issue is the principle of Free, Prior and Informed Consent (FPIC). Companies should obtain FPIC before buying or leasing land or changing operations on existing land holdings. FPIC has been endorsed by the Roundtable on Sustainable Palm Oil (RSPO), the leading certification body for palm oil, and Oxfam has a significant body of work on FPIC. But there’s more to the social side of land too. For instance, where companies have failed to get FPIC in the past, they may have created conflicts they have a responsibility to help resolve today. Land rights can be a challenging issue for companies to navigate fairly. Communities and women often do not hold formal title to their land, especially when that land is managed in common, and governments may have an interest in selling communities’ land to private investors without communities’ knowledge or consent. Plus, land tenure systems differ by country, and even by region. And while these are challenging issues, change and action is possible. Oxfam’s guidance to companies on what comprises a comprehensive land rights commitment, on FPIC and beyond. TMP Systems’ (an advisory firm, focusing on asset management and other issues) recently developed “IAN Risk Management Platform for Land Tenure Risk” – a tool that uses geospatial data to highlight where land may be a salient risk in companies’ supply chains, and outlines company-led processes to counter these risks throughout the project cycle. Several resources for companies looking to understand the land tenure context in the countries where they source palm oil. The World Bank’s Land Governance Assessment Framework which provides an overview of land governance in countries, and consultant groups are increasingly offering land advisory services to companies. Implementing respect for land rights is, as one company has expressed, a “journey.” But these tools, in combination with bringing in local experts to offer context-specific advice, can help companies take the steps they need to effectively address social – and environmental land-related risks and impacts wherever they source palm oil. NOTE:  Oxfam doesn’t endorse any particular guidance document, though representatives from Oxfam do participate in the Interlaken Group. Rather, we’re eager to see companies put these guidance documents into practice. Thank you for this. Its about time someone brought up the need for socio-economic considerations in producing sustainable palm oil. I can guarantee you that the best made plans for forests will not succeed if we continue to sideline local communities. 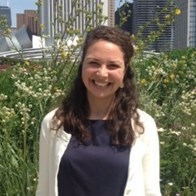 Chloe Christman is advisor on land rights and markets in Oxfam America’s Private Sector Department. Which food companies are jockeying for the #1 sustainability ranking?